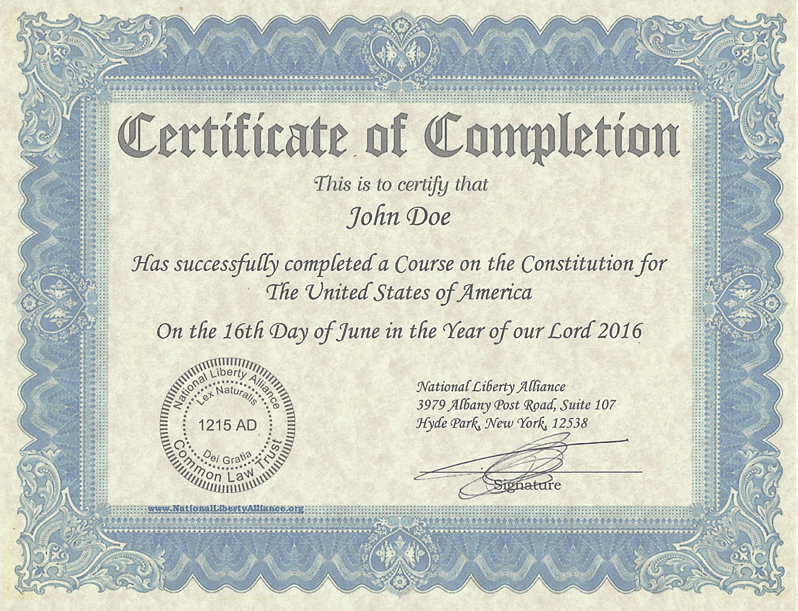 After completing National Liberty Alliance's Constitutional Course or the Civics Course you may request a Certificate of Completion for a donation of $20 or more for each cetificate. Please include the date of completion of the course. If the Certificate is for someone else other then the prson ordering please note that in the comment box at check out.